Last week’s catastrophic capsizing of a rudimentary inflatable dinghy carrying over 40 migrants on a perilous journey close to the Spanish enclave of Ceuta pushed the number of people drowning this year in the Mediterranean Sea to 4,719. Even as the column inches have withered away, these tragedies remain a burning and ever increasing issue, rising starkly from 3,567 fatalities last year. Despite the increase in migrants perishing in their attempts to reach Europe, arrivals have dramatically fallen from 883,000 in 2015 to 315,000 in 2016, according to the International Organisation of Migration. 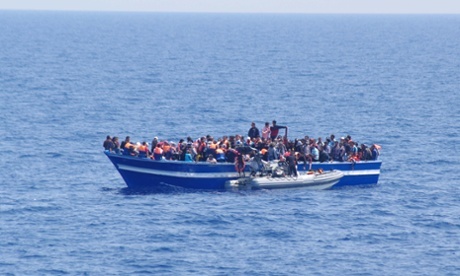 One explanation for these surprising statistics can be accounted by the change of routes migrants have been forced to embark on, according to NGOs carrying out rescue operations. Often overlooked by Western leaders, the problem has been exacerbated by March’s agreement between the EU and Turkey. Designed to prevent Turkey from becoming a gateway to Europe, the agreement gives Greece the ability to return migrants back to Turkey, thus forcing them to undertake alternative, often longer and more dangerous routes, to achieve their ambition of reaching Europe. Desperate in their attempts to flee war, political persecution, hunger and a myriad of problems in their home countries, migrants have no option but paying extortionate sums of money to ruthless human traffickers. Enticed by the promise of safe arrival in Europe, they are often doomed to death from the onset, as their boats usually depart overloaded and underfuelled. The Mediterranean is fast becoming a mass grave, where thousands of migrants lie at the bottom of the sea. Europe’s lack of action is shameful, as a more proactive response could substantially reduce such needless and shocking tragedies. However, as the wave of anti-immigration sentiment crashes across Europe, the likelihood of the problem worsening remains high.